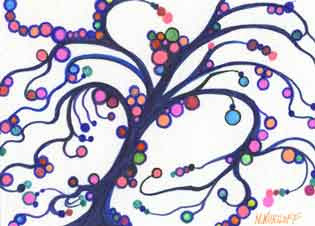 Here is my small drawing of a blue tree with ornamental berries growing on it. It is up for sale on eBay if you would like to bid on it here. Gorgeous, a very playful tree!